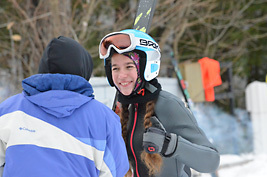 GNA had four skiers qualify to represent team New Hampshire: Mitchell Townsend, Catherine Stow, Venessa Genakos, and Katie Watt. 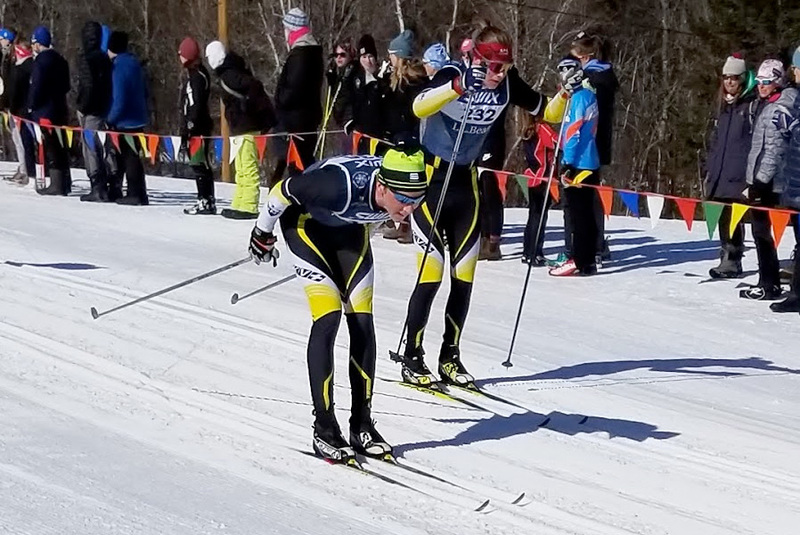 Each skier earned individual top 10 placings highlighted by Townsend taking the gold in the 5k classic race. GNA would like to thank all race participants! Additional thanks goes out to our race sponsors, Gunstock Mountain Resort, Lindt & Sprüngli (USA) Inc., Tippmann Sports, and Rock House Barbecue. Our 2018/2019 Season is Underway! We have openings for skiers of all ages and abilities! Catherine Stow approaches the second lap corner. Catherine went on to win the women’s race. Your gift to GNA directly supports our athletes and programs. Ski jumping is alive and well in central New Hampshire! 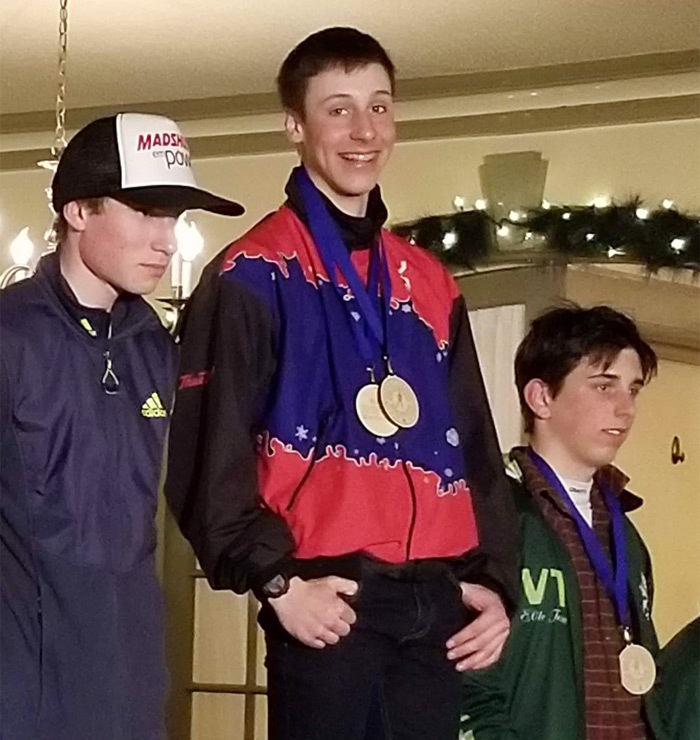 We kicked off the 2019 GNA youth ski jumping program on October 28th and we have openings for new jumpers. To start all you need is alpine equipment! Our season begins with dry-land training where we work on balance, timing, and technique. Jumpers also have access to our roller jump simulator, which allows us to fine tune jumping technique before we progress to the actual jumps. After the first snow, we’ll moved on to the jumps for the real deal! Beginners will start on the 5-meter jump and will work towards the 10-meter jump with the more experienced jumpers. If you are interested in our ski jumping program please contact Lisa Kling. In 2014 we lost our friend and president, Lisa Young, to a long battle with breast cancer. We’ll continue to remember her dedication to the club and her love for the sport. In Lisa’s memory, a fund has been set up to benefit Gunstock Nordic Association. 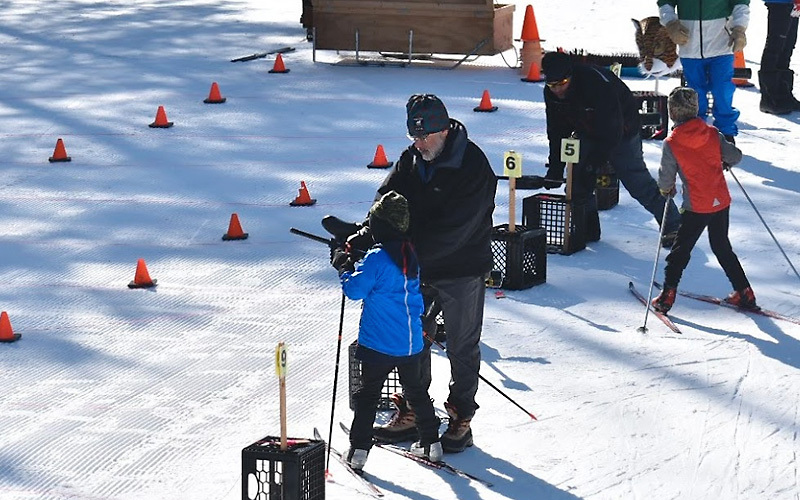 Gunstock Nordic Association is a 501(c)(3) non-profit. Our Tax ID is 02-0333358. 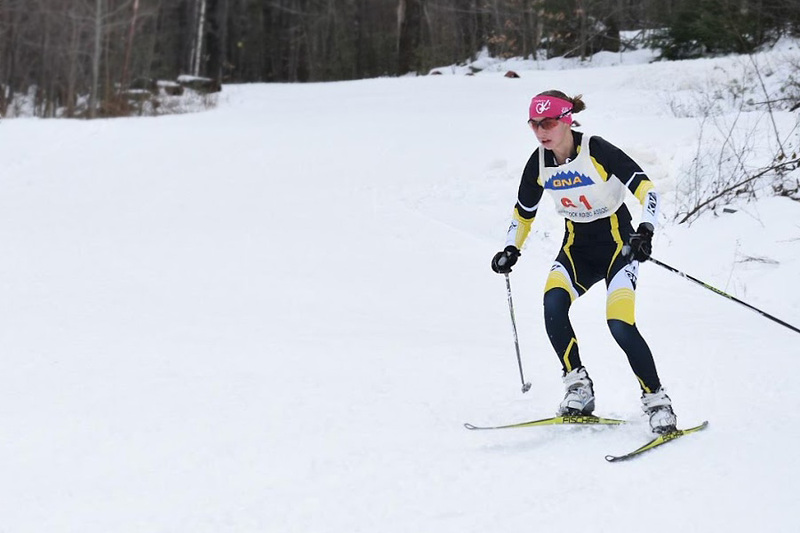 GNA is proud to be affiliated with the New England Nordic Ski Association (NENSA).